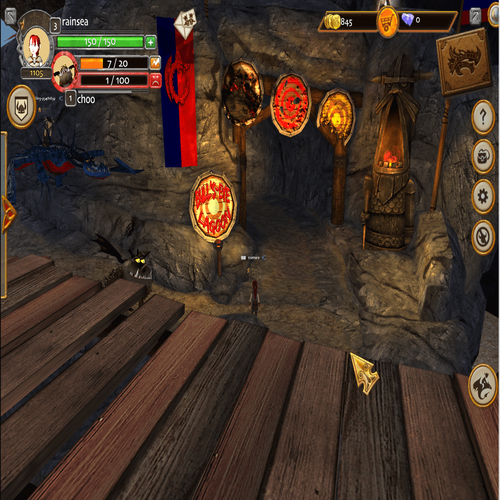 One of our goals at the School of Dragons is to get you and your dragon to move as a single unit. When a dragon and their trainer trust each other completely, their movements are quick, their accuracy is precise, and they become an unstoppable force. Only the best Vikings can achieve such a high level of trust and skill with their dragons. 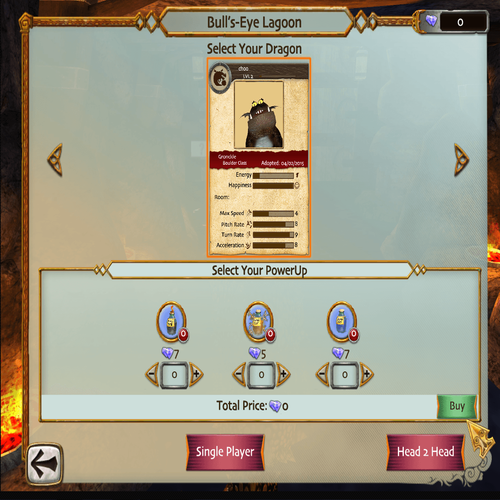 If you believe that you have what it takes, we encourage you to challenge yourself at Bull’s Eye Lagoon, the ultimate test of accuracy and skill at the School of Dragons. It should be noted that this training ground is not suitable for dragons of all ages. Only adult dragons can enter the Bull’s Eye Lagoon. Under no circumstances are baby dragons allowed to race. However, if you are eager to race with your little hatchling, a few gems can be used to speed up the aging process. Once you get to Bull’s Eye Lagoon, some decisions must be made. 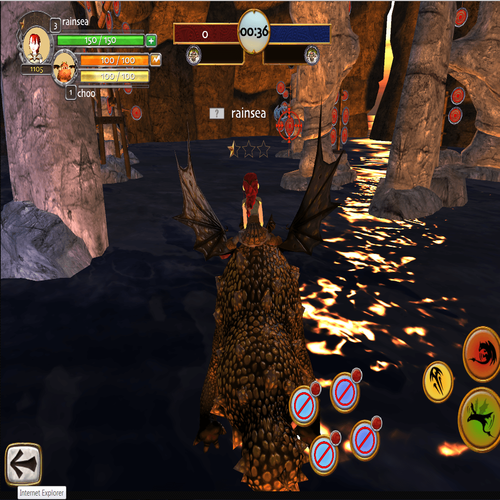 Does your dragon need solo time to practice its shooting skills or is it ready to face an opponent? If you choose to race solo, there are single-color targets for you to aim for, but if you decide to challenge one of your classmates, there will be two sets of targets. You only have two minutes to hit the maximum number of targets, so time is of the essence! 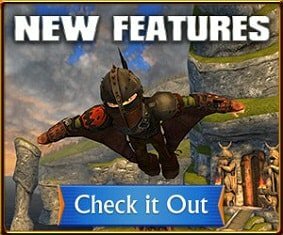 Even the most skilled dragon riders could use a little help once in a while, which is why we provide the opportunity to use gems to purchase three power-ups: the Energy Boost will increase a dragon’s energy, the Smart Bomb will temporarily incapacitate other riders, and the Speed Boost will give your dragon a brief increase of speed. Keep an eye on your dragon’s energy to make sure it doesn’t deteriorate too much, and remember to give your dragon breaks in between races to keep it happy and healthy. However, if you want to keep racing, you can use gems to purchase more energy for your dragon. 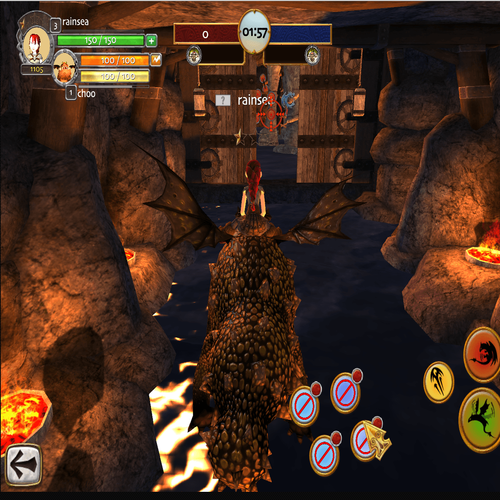 Bull’s Eye Lagoon offers one of the School of Dragons’ most challenging race courses. Whether you’re looking to get some more practice or if you’re in the mood for a little friendly competition, remember to keep your wits about you, aim for the center, and have fun!